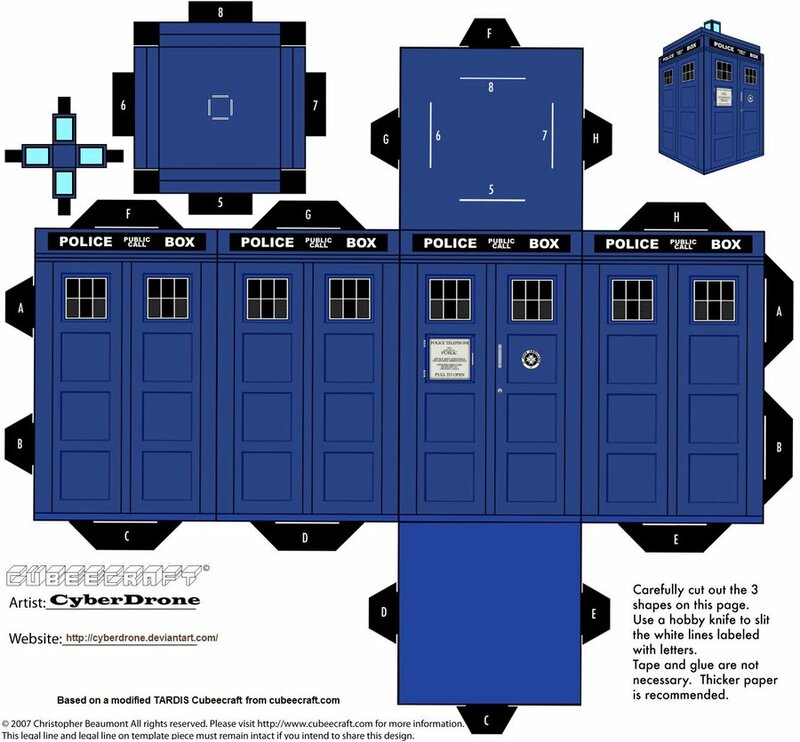 Hey kids, you can make your own TARDIS at home! No, really! Thanks to deviantArt user CyberDrone, you can make all kinds of wonderfully geeky doodads out of paper. Sadly, the paper TARDIS is not bigger on the inside. Check out CyberDrone’s other printouts in the gallery here. 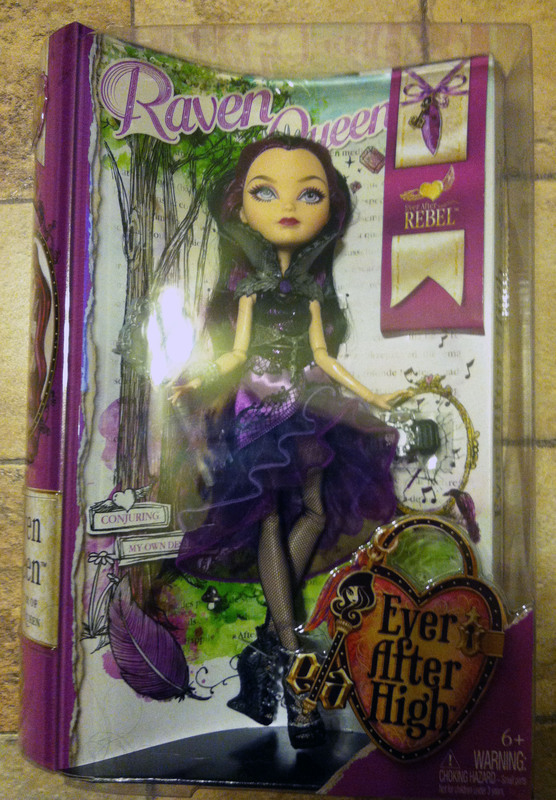 Over on the Shadowbinders comic site, we’re giving readers the opportunity to win a Madeline Hatter doll from the brand new Ever After High line! 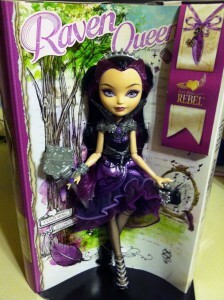 This beautiful doll is the daughter of the Mad Hatter, and has a glint of crazy in her eye. These dolls are very hard to come by, so don’t miss out! The contest ends August 2nd, 2013! I’m always a sucker for a beautiful Victorian home. And I’m man enough to admit it. 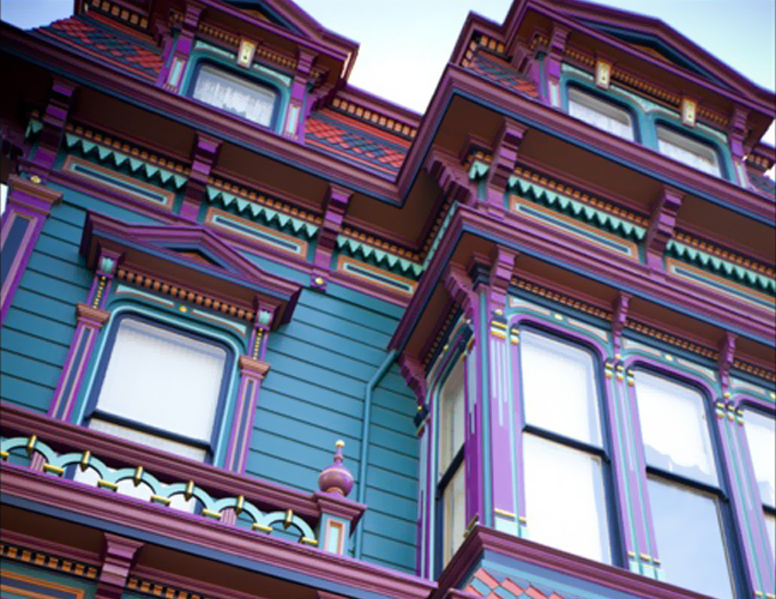 Pinterest user Kitschy Cupcake has collected some amazing images of Victorian homes that you really should check out here. Got any more links to some awesome Victorian homes? Feel free to post them in our forums. Anamanaguchi’s ‘Endless Fantasy’ plays on my iPod. Endlessly. Every once in awhile I stumble across an album I listen to over and over again without tiring of it. This happened in the 90’s with Smashing Pumpkins’ Mellon Collie and the Infinite Sadness. It happened last year with M83’s Hurry Up, We’re Dreaming. And it happened this week with Anamanaguchi’s Endless Fantasy. 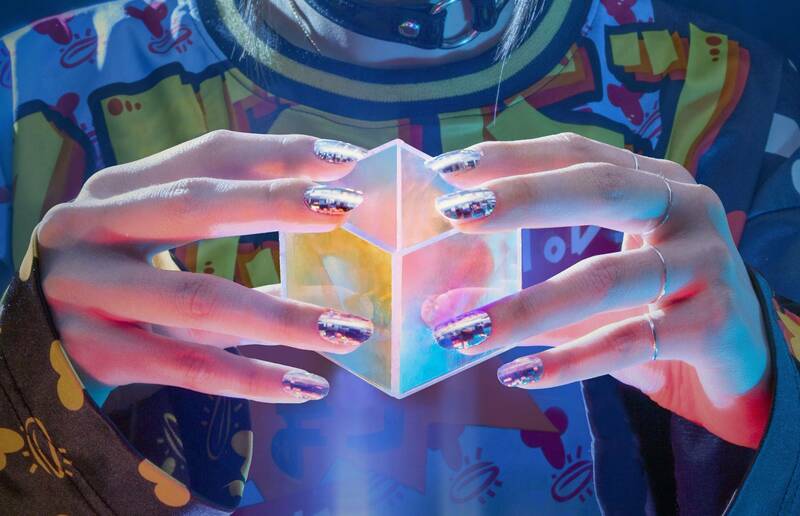 Anamanaguchi plays “chiptunes.” That is, their stuff sounds like it’s blasting from an NES. Hey, it’s good stuff and I recommend giving it a listen. 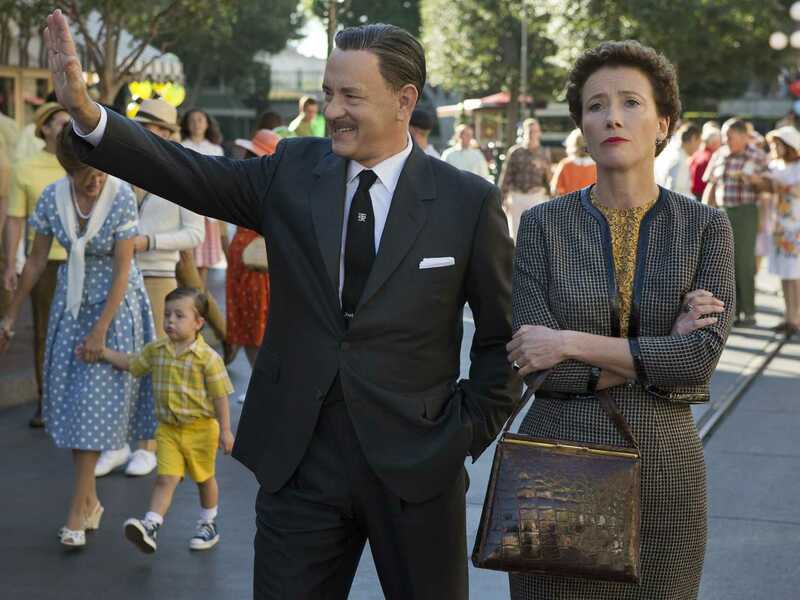 Check out the video for title track below. Gosh, Pinkabsinthe makes some awesome stuff, doesn’t s/he? 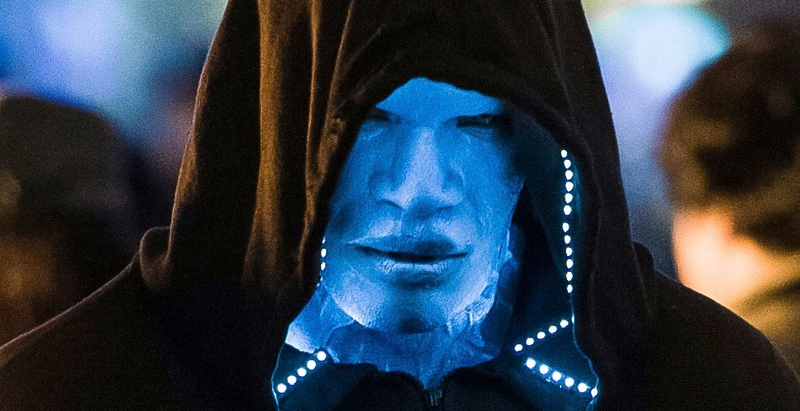 Amazing Spider-Man 2: Electro Teaser Trailer! Last Wednesday we stopped at the Justice store (my daughter loves their clothes) and picked up two Ever After High dolls: Raven Queen and Madeline Hatter. Apparently we’re Rebels here at Shadowbinders, because we chose the two Rebel dolls. 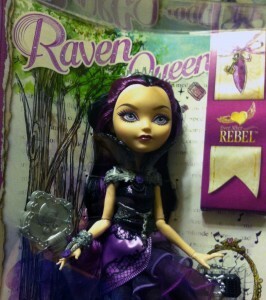 The boxes on these dolls are beautiful. The artwork is well done and they boxes are made resemble a story book. Instead of a journal, like the Monster High dolls, the Ever After High doll’s information is on the back of the box. 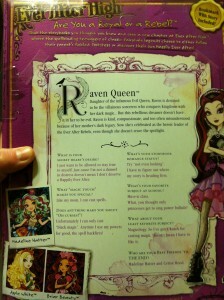 If you’ve watched any of the videos on the site Raven Queen does not want to be evil and follow her mother’s lead. This is creating an issue for Apple White, who wants her to become the evil queen to her Snow White story. These dolls are from Mattel, the makers of the Monster High line. I was expecting them to be very similar, but right away I noticed they were similarities, but they are also very different. 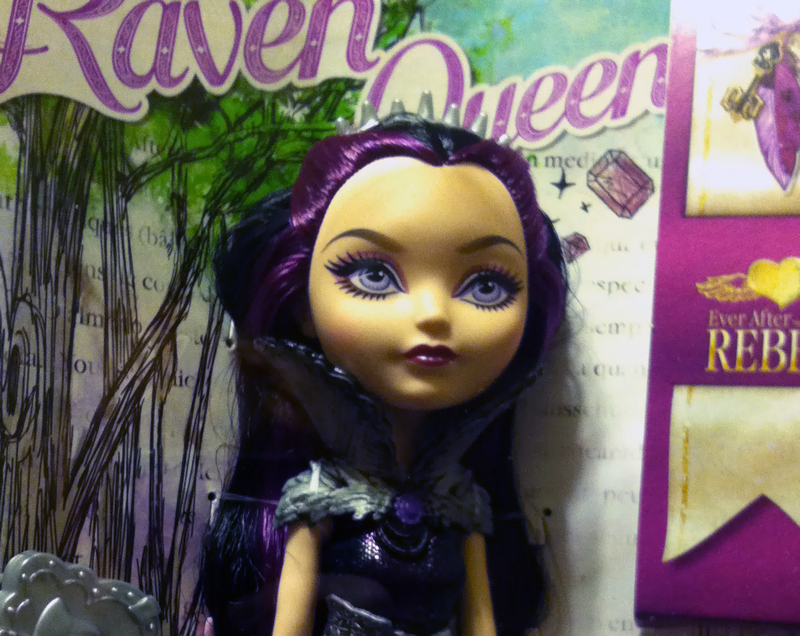 The Ever After High dolls have larger heads and are thicker over all. 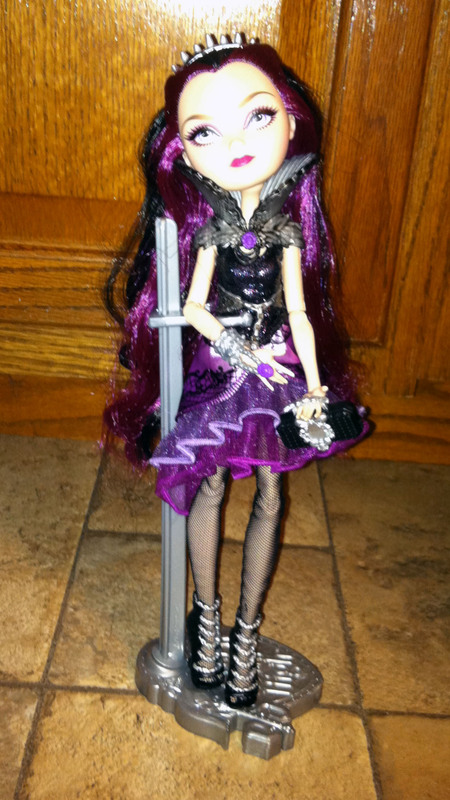 I do like this, as the Monster High dolls tend to be a bit fragile in appearance and for play. I also liked how the doll stand is between the back of the box and the cardboard behind the doll. It keeps it out of the way for those who want to display the dolls in the box and don’t want the stand in the way. Another thing to note. In the upper right hand corner is a rectangular piece that says “Rebel” or “Royal.” This is actually a bookmark and attached to it is a story that comes with the dolls. You don’t want to throw this away. I love this doll. 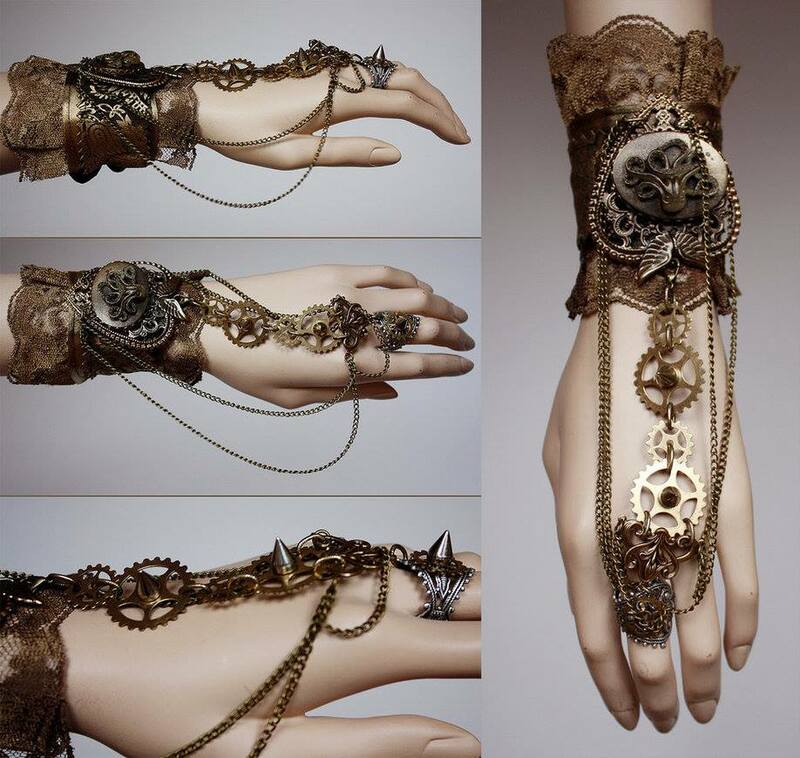 She has a more victorian / steampunk look to her. Her shoes look like teacups and her purse is a tea pot. 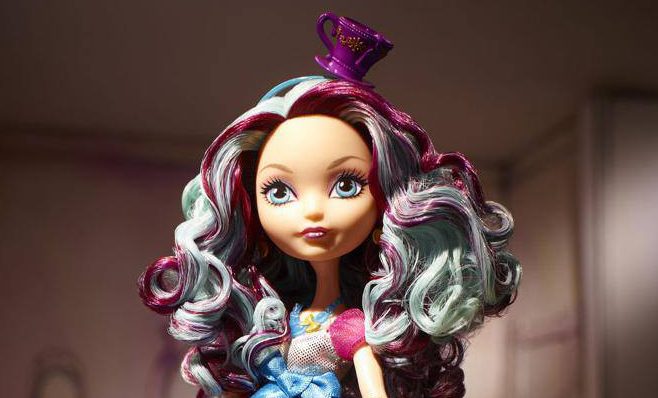 Her hair is very cool with the aqua and purple curls with teapot hat. This is why we chose her as our giveaway doll. Overall these dolls are very cute. 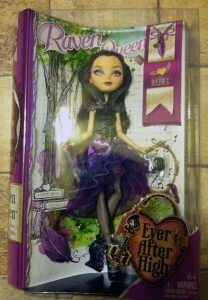 Personally, I still prefer the look of the Monster High dolls to the larger heads of the Ever After High dolls. 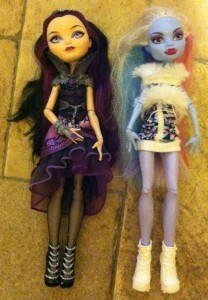 But my daughter loves them just as much as her beloved Monster Highs. 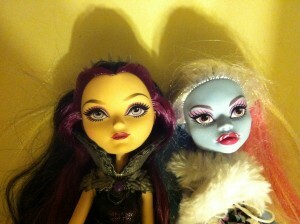 I’m interested in seeing all the other dolls that will come out and all the new mini episodes of the show.